Deep groove ball bearing, or single row radial, ball bearings, It usually consist of a pair of rings, a retainer, a single row of steel balls. Its structure is simple, easy to use, non-separable, It is the most widely used type of bearing. This type of bearing is mainly used to bear radial load, but it can also bear a certain amount of axial load in either direction. We are a manufacture specialized in producing conveyor roller bearing. bearings also have a clearance value. This provides the bearing room for expansion between the bearing races and will add a small amount of play between the two rings. large clearance C3/C4 usually used in mining machine. The other manufacturers make products considering the price cheap, but we make products considering the service life. Each of the conveyor idler bearings we produce is fully implemented in the national standard. XKTE bearings exist for their quality and brand. You can deny our price, but you can never find out our products& acute; defects in quality. 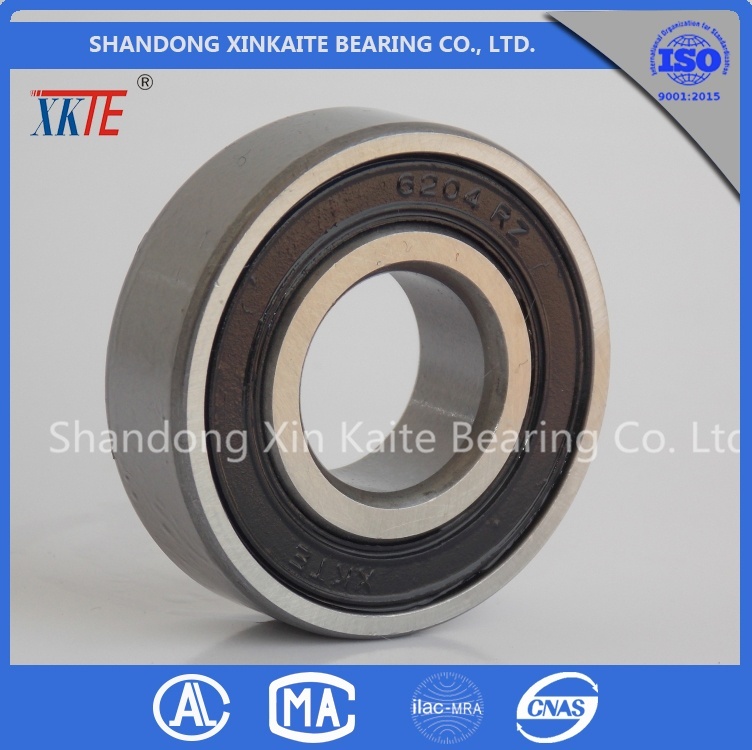 XKTE conveying machinery bearing, a big brand, is worthy of your trust.